If fables of the Loch Ness monster lure your imagination and eerie stone castles intrigue your soul, then perhaps you’re a good fit for a stay in a Celtic castle. Celtic castle hotels draw many tourists each year, and whether you just want to feel like Richard the Lionhearted and the fair Guinevere or are just sick of staying at a Holiday Inn, Celtic accommodations will hold your interest during your entire trip. This one has quite a history to it. 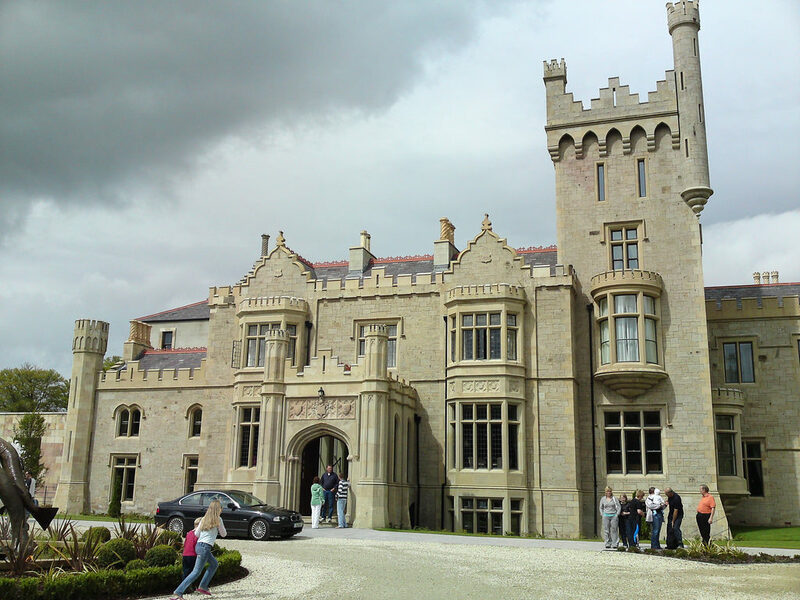 Lough Eske’s predecessor was built in the 1400s, rebuilt in 1860 and burned in the 1990s. You can stay in the renovated castle, which bears the magnificent design of a Gaelic fortress complete with a lookout tower. Rooms at the Lough Eske Castle include high speed wireless internet, private bathrooms, Renaissance-style furnishings and antique decorations. However, the feel of the rooms are a little more contemporary overall, especially since guests usually want TV’s, running water and electricity. Prices are all over the board. You can get a simple room for 185 Euros and suites for $1650 Euros. Guests at Lough Eske Castle receive pampering as well. This spa destination offers manicures, pedicures, saunas, an enormous indoor pool and a fitness facility. On-site dining features fresh fish caught from a nearby fishing port, Irish stew and locally butchered beef. Speaking of the Loch Ness monster, you can get an opportunity to catch a glimpse of the fabled creature yourself at a luxurious castle, Aldourie. The castle looks like it was plucked right out of a fairy tale, and the inside is exactly what you’d expect for a Renaissance luxury accommodation. All the bedroom furnishing are richly colored with beautiful upholstery, painted walls, rich wood and oversize four poster beds. Bathrooms also feature a Renaissance feel with marble counters, antique wood and plenty of space – but of course there’s a toilet and running water! Evidently, the castle is pricey enough they won’t even publish their rates. But whatever the cost – it would be worth it to stay at such a magnificent place! Dornoch Castle is everything you’d want a private castle accommodation to be. With only 21 rooms, you’d almost have the place all to yourself. It’s not too expensive to stay here, either. Rooms start at 62 Euros and reach up to 200 Euros. Some are dark and ominous-looking with just a hint of warmth from an oversize fireplace, while others are a little brighter with country charm. The on-site restaurant serves up Highland food like lamb and venison. You’ll also get some Angus beef (which is probably not very different from what you get in the States) but it sounds better because they call it “Aberdeen” Angus beef! The view outside your room is equally breathtaking. Just picture a calm brook trickling beneath a stony foot bridge surrounded by luscious foliage everywhere. Come to think of it, you’ll enjoy a Celtic vacation even if you’re not into Renaissance festivals and fabled creature tales. These accommodations are perfect for honeymoons, anniversaries and other couples vacations.